Let’s work together to be a part of the larger conversation of energy efficiency and celebrate environmental friendliness and sustainability. Empower your children with the knowledge to make our world a better place to live. With that concept, OWI has fabricated a simple mini solar kit to engage curiosity and awareness. OWI’s farm system has cultivated yet another possible Rookie of the Year prospect. Rookie Solar Racer v2 is a redesigned version of the original Rookie Solar Racer. The modernized variant possesses all the qualities of a five tool player: strength, power, speed, building, and cost effectiveness. Strength – supported by a strong metal base. Power –harnessed by the most powerful and efficient source of energy…the sun. The photovoltaic cell (solar panel) converts the sun’s energy directly into electrical energy. Speed – backed by a lightweight design possesses amazing quickness with a catch me if you can attitude. Building the 2.62 inch x 2.17 inch x 2.40 inch perfectly sculpted frame is ideal for a do-it-yourself science fair, after-school, or summer workshop project with the bonus gift of learning how automotive transmission and motors work. A key cog in the development of a child’s mind; experts believe that the retention of child’s learning experience is multiplied if they can coordinate reading with actual hands on experience. Cost effectiveness – like all Rookies, they are affordable alternatives to other high priced players. It is the least expensive mini solar kit in OWI’s award winning line with only 20 assembly parts. It will be interesting to see how the year unfolds. One certainty (with the odds in its favor), Rookie Solar Racer v2 will bring excitement for ages 8 and up, a fun-filled learning experience, and moments of greatness. Kid power meets solar power with the Rookie Solar Racer v. 2, part of OWI's Robotikits line. Kids ages 8 and up can build this cute, little racer in just a few minutes (Younger kids may need some adult help. ), then take it into the sun. Before you know it, your racer will be zipping along. 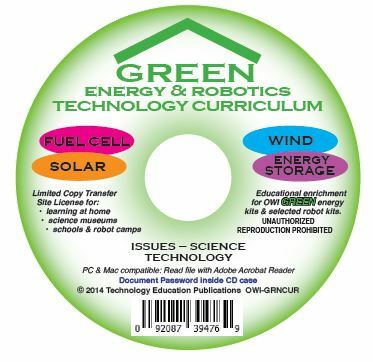 The play introduces kids to basic motors, gears, and green energy. The Solar Racer is part of a whole collection of mini-solar kits in the OWIKIT line that includes grasshoppers, frogs, cars, penguins and even the T4 Transforming Solar Robot. Kids are naturally fascinated by the world around them, and it's exciting to build something and see it work. Nothing tops that pride. And along the way, kids 8 and up will get a basic understanding of gears, motors and solar energy, which is as much fun as it is interesting. Kids with an interest in construction, robotics and vehicles will love this simple kit. It does require a very sunny day to run -- not bright indoor lights, a flashlight or even a little shade. Of course, once it's built, it's not the most exciting toy to play with -- but it's still fun to watch it go.